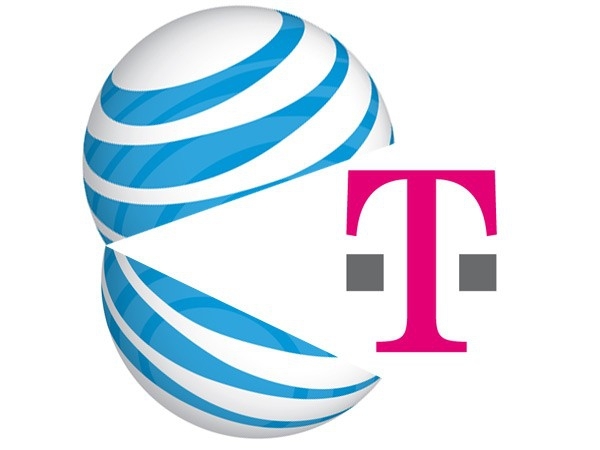 "AT&T Inc. (NYSE: T) and Deutsche Telekom AG (FWB: DTE) today announced that they have entered into a definitive agreement under which AT&T will acquire T-Mobile USA from Deutsche Telekom in a cash-and-stock transaction currently valued at approximately $39 billion. The agreement has been approved by the Boards of Directors of both companies." Earlier in the week, there were rumors of merger talks between Sprint and T-Mobile making them a stronger competitor to AT&T and Verizon. It looks like the rumor stage is as far as that will ever go. Engadget has just reported AT&T has agreed to buy T-Mobile USA for $39 billion. Once the purchase is approved by government regulators and the transaction completed, AT&T will be the only cell provider that uses the GSM standard. How does this make those of you who have HD7s or Venue Pros feel? Are you looking forward to or dreading the merger? I really do not want AT&T to be any bigger than they are. They have not been friendly to users at all when compared to T-Mobile. They do not seem to like unlocking devices for use over seas. Whereas T-mobile encourage unlocked devices and bring your own device contracts. Hopefully this won't affect the number of GSM Windows Phone models available in the U.S. I kinda wish Sprint and T-Mo had merged instead. Although it would have been a mess of technologies. Compared to AT&T and Verizon, they are definitely more consumer friendly. My main worries are that with data intensive apps increasing in number and now factor in AT&T's new position, their ridiculous data tiers will only get worse. We're doomed. I'm lucky I'm grandfathered in on unlimited plan but... Still. Very soon we will see bills skyrocketing up, hidden and misterious fees, ridiculous caps on data and customer service, which was excellent, becoming a nightmare. Are there any other GSM providers in the US? Not my choice to go with at&t, t-mo has served me well 99% of the time, with at&t that will probably be reduced to 1%! While, as others posted, I too am worried that rates and opportunities will suffer from the lack of GSM competition in the USA, I actually welcome this news for one reason: No carrier (including Verizon) has ubiquitous coverage. At least on the short term, I expect that we will see better coverage in fringe areas since incorporating T-Mobile's cells and spectrum should be quick and easy for AT&T. In the longer term, I can only hope that the two remaining carriers (Sprint won't make any difference) will continue to have to battle it out for customers and therefore have to continue to advance their technologies. In any case, the first BIG step will be to see if this deal gets the Government approval it needs to proceed - and that's certainly not a slam-dunk. I have a slightly different take on this. I pondered posting it as a "Thought", but decided to reply in this thread since it's on subject. I see it as positive. Both AT&T and T-Mobile customers will see better phone reception. Areas where either one was weak (like my house) will have extra towers. I dont' mind if AT&T's customer service isn't top tier if I rarely have to call them. It's better than having awesome customer service and no reception. We really won't see the effects of this deal for another year or so. Or however long it takes to get through government regulations. By then, most of the carriers will already be well on their way to moving data services to LTE, a GSM technology. So, while Verizon and Sprint are CDMA for now, they are moving towards LTE also. Though I know that Sprint does have some WiMax out there, the last I heard they were also moving to LTE. So, in another two or three years, we'll have all the major carriers basically using the same technology for their high speed internet. With AT&T probably still having their hspa+ as their backbone for slow 3G+ in more rural areas. I do expect the government to require that future phones could be used on multiple carriers in the future in order to make this deal happen. If that occurs, it's a win for consumers. And when both AT&T and Verizon are using LTE, the competition will become even more heated. Especially if there is the knowledge that a customer could take his phone somewhere else and still have it work. That should keep prices somewhat reasonable. The loser in this is Sprint. And quite frankly, it's their own fault. Back in the early 90's, when the companies were buying spectrum, Sprint got the vast majority of it. And it wasn't close. The amount that they had was significant. Yet, they didn't take advantage of that. If Cingular (now AT&T) or GTE (now Verizon) had that advantage, they would be cleaning up right now. Sprint's management was poor. And they're trying to play catch up right now. Sprint is trying to block the T-Mobile aquisition, not for customers and the future of US wireless services, but because they already had a tough hill to climb and they don't want it to be tougher. They also probably see the writing on the wall. If Verizon buys Sprint, it will be a much bigger deal than AT&T buying T-Mobile. Sprint has a lot of spectrum. And Verizon has the management that would take advantage of that. So, is Sprint dead in the water if the AT&T goes through? Do they have to sell themselves to Verizon? I think that's up to Sprint. They will need to stay extremely aggressive and will have to win through things like customer service and satisfaction. They'll also have to make savvy business decisions. Here's the problem with the argument that the two's combined signal will be stronger. AT&T intends to use T-Mo's 1700 spectrum as it's LTE channel. They've announced people with current 3G phones on T-Mo will not be able to use them in the future because the 3G on 1700 will not be supported once they start roll out. This means everyone is going to do 3G on AT&T's current bands which instantly adds a ton of people to the network. The last couple of years, T-Mo was building out their 1700 towers for their 3G so once they are converted to LTE, the LTE data footprint will definitely be bigger but its going to require new equipment for anyone to use it. ...but its going to require new equipment for anyone to use it. Thats the key for me. My TMO unlimited data plan will mean diddly squat because my TMO equipment will no longer be able to use the 3G TMO towers. To have data faster than Edge, I will have to get a new AT&T phone which will mean a non-granfathered data contract that's capped.